Download the Alexa App. If you have an Amazon Echo, chances are you already have this app installed, but if you don’t, simply head to the App Store on iPhone or the Google Play store on Android and search for the Alexa app. Enable Total Connect. In the “Skills” section of the Alexa app, search for Total Connect 2.0. Hit “Enable” and follow the prompts until your accounts are properly linked. But Alexa not only has the ability to control your home security, she can also take control of your home automation features such as your thermostats, lights, door locks and cameras. Your whole home ecosystem can now be controlled directed through Alexa or the Alexa app, allowing you more flexibility than ever. You can even create scenes that fully automate parts of your day. For example, you can say “Alexa, sleep time” and Alexa will lock your door, turn down your lights, adjust your thermostats and put your alarm system in Armed Stay. If you currently use Total Connect for your security system and have an Amazon Echo, give Alexa the keys to your system today! 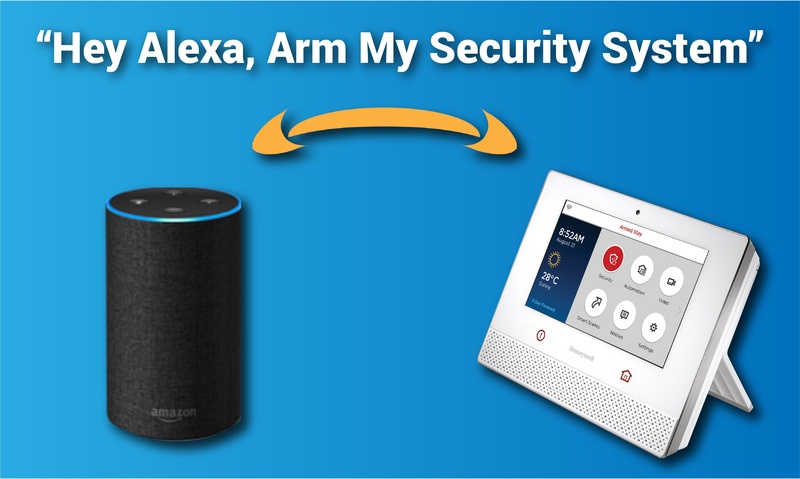 *Note that for security purposes, Alexa cannot be used to disarm a security system. This function is still available through the Total Connect app or manually through the keypad following Alexa integration, but is not a function that is voice controllable.